DO YOU NEED TO MOVE OR LIFT A SWIMMING POOL, PIZZA OVEN, OR FURNITURE? 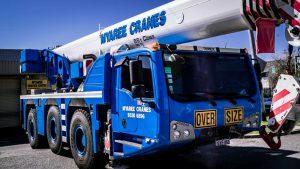 Although we undertake plenty of commercial and industrial lifting here at Myaree Crane Hire Perth, we also offer full residential services. Whatever your domestic needs, no job is too small with our mobile crane hire. We’ve helped countless satisfied homeowners by lifting heavy furniture or bulky air conditioning units up onto balconies or upper storeys. Got a pizza oven you can’t pick up? We’ll take care of that for you. How about a swimming pool? We can lift that into your yard with no problems at all. And thinking of the garden, we can also help if you need any fallen trees removed. With over three decades of experience helping happy homeowners just like you, we’ve got the expertise and equipment to do all your heavy lifting while offering some of the keenest crane hire rates in Perth. do you need to hire a crane to lift your swimming pool or spa? It goes unsaid, swimming pools and spa’s aren’t cheap. Therefore choosing the right crane hire company to lift and install your swimming pool is imperative. At Myaree Crane Hire, our crane hire costs are competitive enough that you can buy the swimming pool of your dreams without needing to panic about the price of installation. Proper planning is crucial when you’re installing a pool, and we’ll guide you through this process. Perhaps you need to lift in an excavator to carry out the initial digging? If so, we’ve got you covered at Myaree Crane Hire. Full site assessment: Of all aspects here, the key is establishing whether or not you can get a crane in. Excavation: We’ll help you lift your excavator in if necessary so you can get the foundations prepared. Craning in the Pool: It’s time to start getting excited as the pool is lifted in by one of our skilled crane operators. If you need assistance with any other element of pool or spa installation, get in touch and we’ll see how we can create a customised solution for you. Whether you’ve got a fibreglass pool, a spa, or an outdoor pizza oven, our cranes will ensure it’s lifted in without a scratch so you can start relaxing poolside as quickly as possible. Call us now for a lifting assessment. How Do I Lift Furniture Into My Apartment or Second Storey? 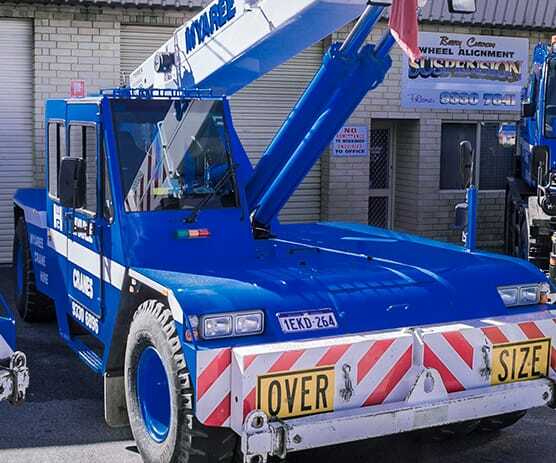 Once the preserve of the wealthy, now more and more people need bulky, everyday items hoisted up safely and carefully, which is where Myaree Crane Hire come in. No need to call your mates! asking them to help you lift your fridge, through a narrow valley of stairs located in your apartment block! As with all lifting, the planning stage is critical, and we’ll help you get that right. We’ll then co-ordinate our arrival with your furniture arrival so we can lift it up directly while you relax, secure that you won’t end up with scratched walls or battered furniture. All you need to do is choose what you need lifted. From fridges and freezers to outsized couches and furniture for your home office, we’ve dealt with it all before. Fully insured and qualified, our skilled crane operators can help you achieve a day’s work in just a couple of hours. Whether you’ve got a complex lifting project or a single bulky item, no job is too big for us – and none is too small, either. As a homeowner or renter, you have very different needs from companies requiring factories to be relocated or boats dropped into the water. We appreciate that and tailor our residential crane hire services to meet your needs. 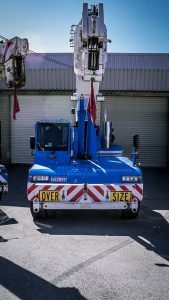 When we started out with a small fleet in the 1980s, we principally helped with all aspects of commercial crane hire in Perth. As times change and objects seem to get heavier and heavier, here at Myaree, we have also evolved. We now have ten cranes, including Franna Articulated Cranes, Tadano City Cranes, and The Demag 55 tonner! 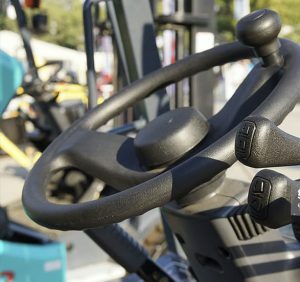 If a single unit is not quite enough, we specialise in dual lifting for the bulkiest loads. Whether you want a swimming pool installed in your garden, a sauna lifted up into the penthouse, or all of your furniture taken upstairs, get in touch and we’ll send the right crane for the job. When you’re moving house, the last thing you need is to worry about how you’ll get your furniture in, so just reach out and let us do all the hard work. 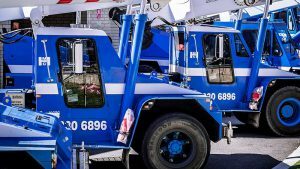 The sooner you call one of the best crane hire companies in Perth, the sooner you’ll be relaxing by the pool or sauna or laying down on your new couch. 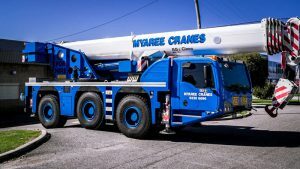 Call Myaree Crane Hire Now!